My take is that the Let’s Go games are going to be an entirely seperate but main franchise from now on. The existence of an all-new Pokémon and more is revealed during a question-and-answer session in Tokyo. Following the big press conference in Tokyo, where The Pokémon Company unveiled exciting news about upcoming games, the press got a chance to ask questions of Pokémon president Tsunekazu Ishihara and GAME FREAK directors Junichi Masuda and Shigeru Ohmori. The Q&A provided some juicy new details—including the existence of an all-new Pokémon in Pokémon: Let’s Go, Pikachu! 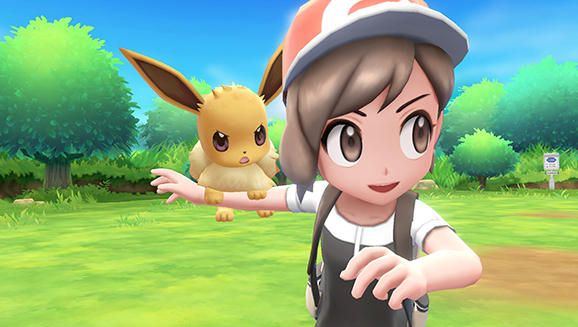 and Pokémon: Let’s Go, Eevee!—as well insights on the development of these new titles and the transition to Nintendo Switch. Read on for the full transcript. If Pokémon: Let’s Go, Pikachu! and Pokémon: Let’s Go, Eevee! are based on Pokémon Yellow: Special Pikachu Edition, will they have only the original 151 Pokémon? For example, will it not include more than the three original evolutions of Eevee? Mr. Masuda: In general, it’s the original 151, but as we just showed with Alolan Exeggutor, some of the Alolan variants will also appear. With Pokémon appearing on the field and the catching gameplay being more similar to Pokémon GO, does that mean there are not any wild Pokémon battles? Mr. Masuda: With these games, we’re really focused on clicking the Joy-Con to throw the Poké Balls to catch Pokémon. We decided to get rid of the wild Pokémon battles to catch them, but we still have Trainer battles with a variety of difficulty where you use your Pokémon in battle. When you were choosing the Pokémon for the two titles, why did you choose Eevee as the other Pokémon along with Pikachu? Mr. Masuda: One of the reasons for that is that in Pokémon Yellow: Special Pikachu Edition, you start with Pikachu, and your rival begins with Eevee. So there’s that element. But really, over the years, I’ve been overwhelmed by the passion that fans have had for the character, including tons of fan art. I’ve always really loved the cuteness of Eevee. And one thing that I didn’t know until recently is that fans have unofficially dedicated November 21 as Eevee’s special day. There’s a way to pronounce that date in Japanese that sounds like “Eevee.” It just seems like over the years, fans’ reaction and passion for Eevee really made me think that it was a popular enough Pokémon to serve as a counterpart to Pikachu. How does the connection between Pokémon GO and the two Switch games work? Mr. Ohmori: The games use Bluetooth LE to connect directly to each other. At the end of the video introducing Pokémon: Let’s Go, Pikachu! andPokémon: Let’s Go, Eevee!, there was some text that says you’ll meet a special Pokémon, and I’m just wondering if that means something different than the Alolan Exeggutor you just talked about? Mr. Ishihara: You were really paying attention to the details! I can say that the video is referring to an all-new Pokémon that will be appearing in Pokémon: Let’s Go, Pikachu! and Pokémon: Let’s Go, Eevee! 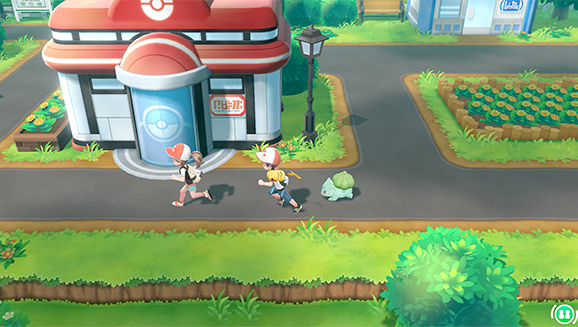 Will you be able to trade and battle with other players in Pokémon: Let’s Go, Pikachu! and Pokémon: Let’s Go, Eevee! via local wireless connection? Mr. Masuda: These games will definitely have the wireless trading and battle features that have existed in Pokémon games up to now. You will, of course, need two Nintendo Switch consoles to do that kind of gameplay. Now that these games are on Nintendo Switch, it’s possible for multiple accounts to use the same device. Can multiple people play the same game? Or will it be similar to the handheld games where you can have only one player per game? Mr. Ohmori: You can have multiple accounts on the Nintendo Switch, so each account can have its own save file. For example, if you have siblings they can play on their own accounts. 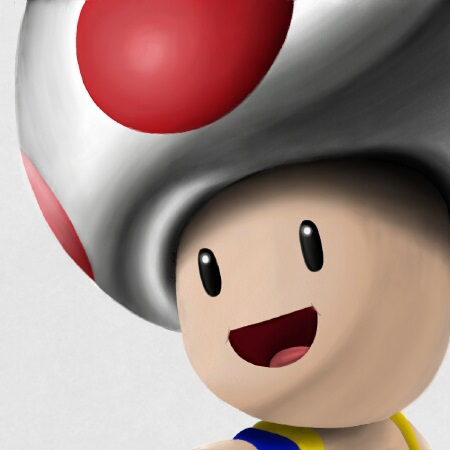 Nintendo has recently announced that the company will begin its online gaming service this September. 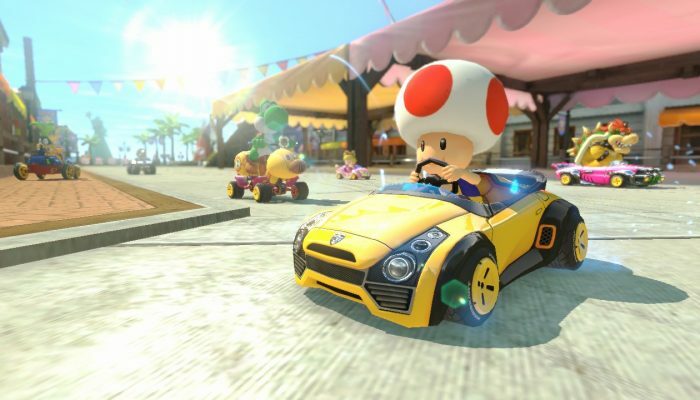 Will Pokémon: Let’s Go, Pikachu! andPokémon: Let’s Go, Eevee! use this service? Mr. Ishihara: We don’t have any plans to use this online service right now. With the 2019 game that you also mentioned, will these be an upgraded version of Pokémon: Let’s Go, Pikachu! and Pokémon: Let’s Go, Eevee!—similar to Pokémon Ultra Sun and Pokémon Ultra Moon—or something different? Mr. Ishihara: They’ll actually be different games as all-new Pokémon series entries, kind of like how Pokémon X and Pokémon Y, and then Pokémon Sun and Pokémon Moon, were new games within the main series. Pokémon: Let’s Go, Pikachu! and Pokémon: Let’s Go, Eevee! are coming to Nintendo Switch, as opposed to dedicated handheld game systems [that typically host Pokémon RPGs]. Nintendo Switch is seen more as a home console; what drove you toward the decision to develop on this new system? Mr. Ishihara: At Pokémon, we really view Nintendo Switch as more of a combination of a handheld and home console system. It has the features of both, and we hope to take what was good with the handheld system and expand on it. That’s why we’re excited to bring the games to Nintendo Switch. 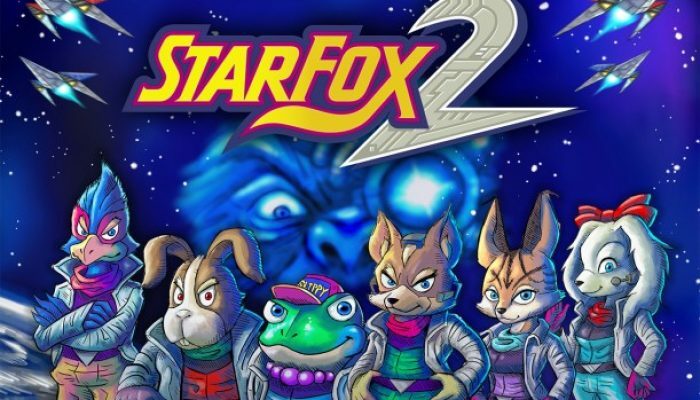 You just mentioned the games coming out in 2019, and obviously we’re very excited. Is there anything else you can tell us about these new games? Mr. Ishihara: I can’t really say much more than what we’ve already talked about today. But what I can say is that Pokémon: Let’s Go, Pikachu! and Pokémon: Let’s Go, Eevee! focus on the home console gameplay experience, but the games next year will focus more on handheld features and gameplay experience. Obviously, we’ve seen there are many ways to enjoy Pokémon: Let’s Go, Pikachu! and Pokémon: Let’s Go, Eevee! if you’re a Pokémon GO player. Are there incentives for Pokémon GO players who don’t have a Nintendo Switch to go out and pick one up to play these games? Mr. Masuda: I think one of things that will be a lot of fun is for kids who might not be able to play Pokémon GO on their own. Maybe they don’t have their own smartphone—they can play with their parents or older sibling, but they’re not able to play on their own. So perhaps players who are playing Pokémon GO can catch Pokémon and send them over to Pokémon: Let’s Go, Pikachu! and Pokémon: Let’s Go, Eevee! The kids can then raise those Pokémon on their own and get a variety of Pokémon that way. I can also say that we have some ideas that will benefit Pokémon GO players who are interested in Pokémon: Let’s Go, Pikachu! and Pokémon: Let’s Go, Eevee! and vice versa. So if you’re playing both, there will be good things that happen in both games. 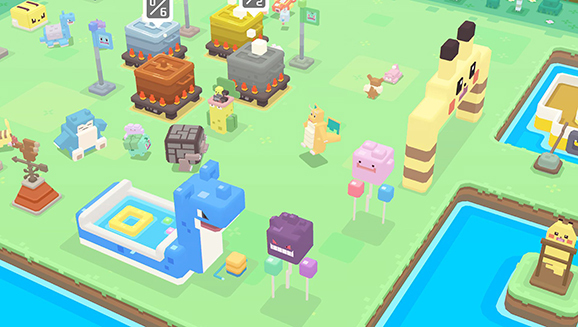 In Pokémon Quest, will you be able to share game data between the Nintendo Switch version and the smartphone version? Mr. Ishihara: There’s no shared data between the two versions. They’re entirely separate titles so there’s no sharing between the two. Will Pokémon Quest require an active Internet connection to play at all times? Mr. Ishihara: An Internet connection is not required to play either version of the game. This kind of follows on the earlier question about how Nintendo Switch overlaps between a handheld and home console device. What is it that you found appealing about developing for the platform? And will the games going out in 2019 take advantage of the functionality available on Nintendo Switch? Mr. Ishihara: It’s kind of an open secret from talks with games media, and I have to apologize to Nintendo, but at the time I was definitely skeptical about whether Nintendo Switch would be successful. But really thanks to amazing games like The Legend of Zelda: Breath of Wild that drove hardware sales, I really felt Nintendo Switch was a good platform. But of course, since Pokémon: Let’s Go, Pikachu! and Pokémon: Let’s Go, Eevee! are coming out this year, that means we’ve been working on them for a little while now. So we definitely had this feeling that we would be able to help drive this platform and increase its sales. So there’s that aspect that made us work harder to succeed. We also saw this as an opportunity to make a Pokémon RPG for everyone, and provide another Pokémon game for those who started with Pokémon GO looking for somewhere to continue their adventure. We looked at this as a really interesting challenge to put Pokémon on a home console and see what we could do with the experience. Pokémon: Let’s Go, Pikachu! and Pokémon: Let’s Go, Eevee! represent our take on what the home console experience will be. I think you’ll see with games coming out in 2019, we’ve seen how people use Nintendo Switch as a handheld device and we want to see what our take on the Pokémon handheld experience on Nintendo Switch will be. Does that mean that you’ve been developing these games since before Nintendo Switch launched in March 2017? Mr. Ishihara: Yes, of course. Game development does take quite while! We saw that the Poké Ball Plus lights up and makes sounds. What are your future plans for this device? Do you have plans to use it in other ways? Mr. Masuda: The Poké Ball Plus development really started after the Pokémon GO Plus came out. We started thinking about what the best Pokémon accessory would look like and feel like. We began talking with Nintendo’s hardware team, and they came up with the idea of creating the ultimate Poké Ball for players to have, and then we started talking about what that actually means. 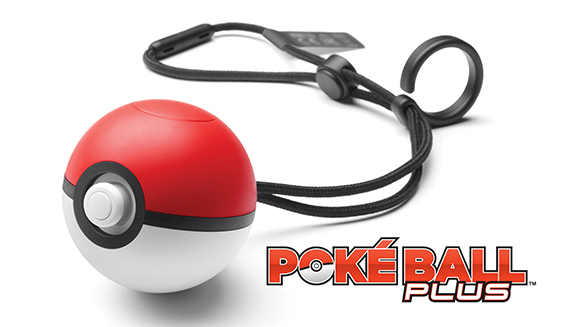 Of course, in the ultimate Poké Ball you would have to have Pokémon that go inside it. That’s kind of how we got started. Being the ultimate device for Pokémon games, I do think we’ve shown some of the versatility of it in that you can use it with both Pokémon: Let’s Go, Pikachu! and Pokémon: Let’s Go, Eevee! as a controller, and also as a Pokémon GO Plus with Pokémon GO. And, of course, we’ve mentioned that you can put a Pokémon from your game into the Poké Ball Plus and walk around with it. There are some cool things that will happen, but I can’t say more about them today. Look forward to much more information on the new Pokémon titles throughout the year!